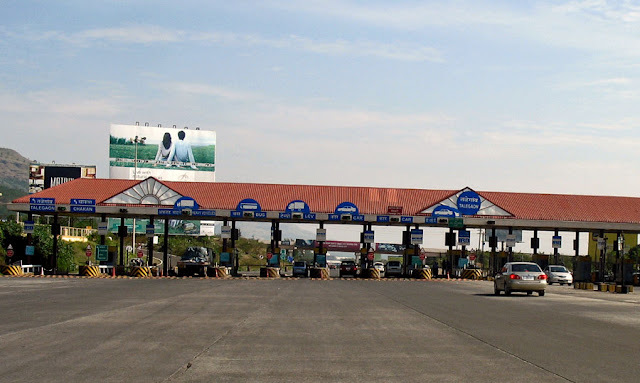 Photographs of a toll collection plaza or toll naka as it's called here on the Mumbai - Pune Expressway or highway, which is a toll road. Users will pay toll till 2030 now, instead of the original cut-off date of 2020. 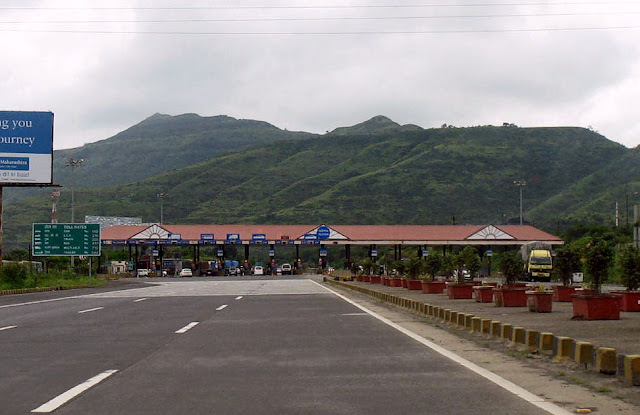 That is because another road is being built for the ghat section to alleviate the heavy traffic. More road, more to pay. 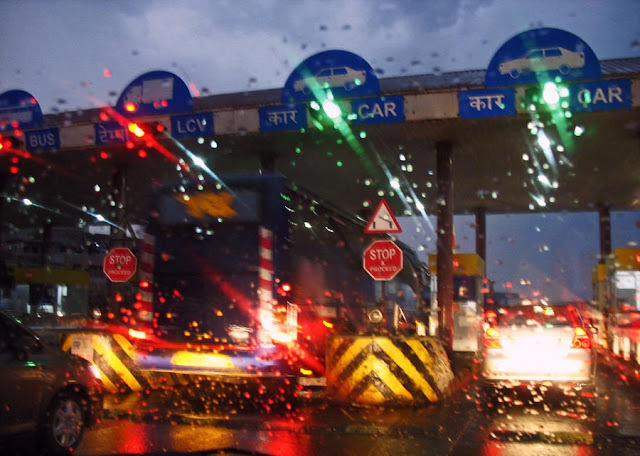 This is a night shot on a rainy day of a section of the toll plaza. A long-shot of the toll naka on the Mumbai-Pune Expressway with the hills in the background. A closer view of the toll plaza on the Mumbai-Pune Expressway.